The Delaware River Port Authority is conducting a study to improve traffic flow on the Philadelphia side of the Ben Franklin Bridge, an area of Central Philadelphia already dominated by automobile traffic. 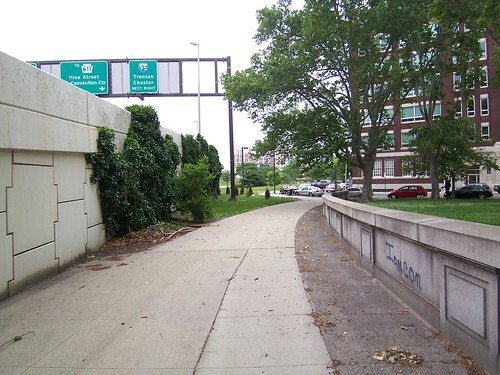 would be covered under a "flyover ramp" that would directly connect the bridge deck to I-676. 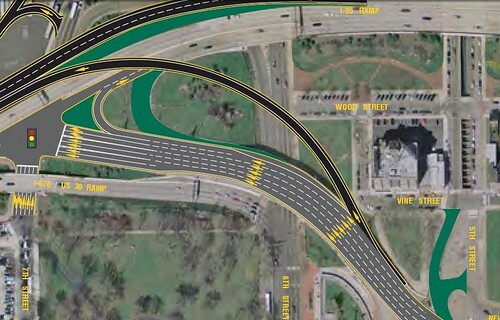 The flyover ramp is a long term option. 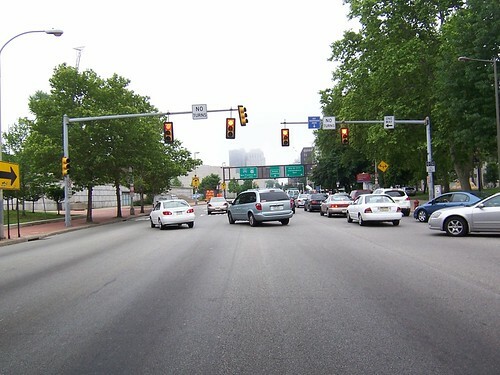 Many of the short term changes involve lane configuratons and signal timing adjustments that may have a neutral or slightly negative impact on bikes and pedestrians. However the fact that this study doesn't seize the opportunity to improve non-motorized and transit access to the bridge shows that Authority is still not thinking outside the box or even beginning to accept the concept of complete streets. A perfect example is the the chaos on 6th St where bikes and horse carriages share a bike lane that crosses ramps with motorists too eager to get out of town. You need to let the neighbors of this area know that they will be losing parkland. I'm sure they won't go for it.